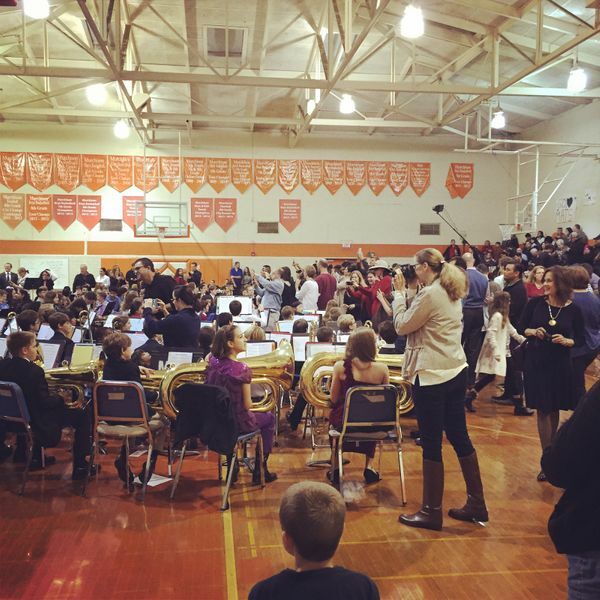 Right before the 6th grade band concert began, parents (and guests) were invited down to the gym floor to take pictures of their prized possession(s). Soon after the music started, and for having played their instruments for less than one full semester, these kids were very impressive! I enjoyed the concert and again (like last night's dance performance), the gym was absolutely filled to capacity. Thank you all that showed up and supported these young musicians. I can't wait to hear the spring concert in May!